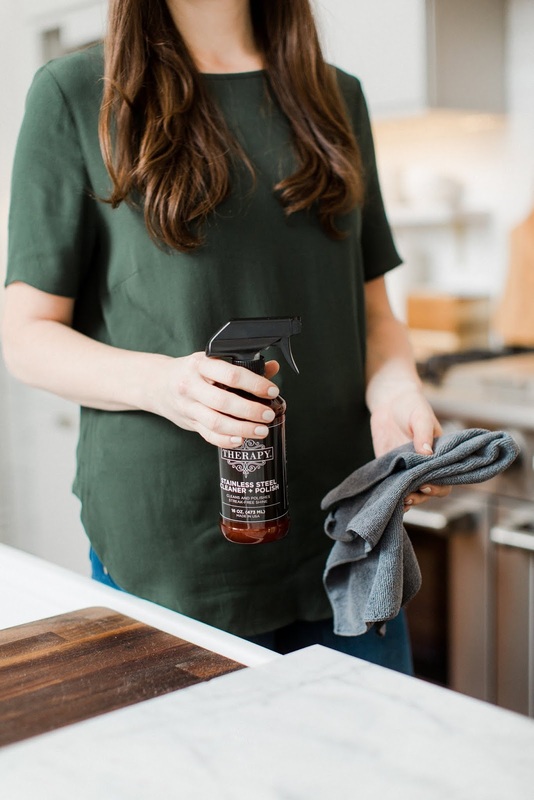 A Stainless Steel Cleaner that Actually Works + a Giveaway! 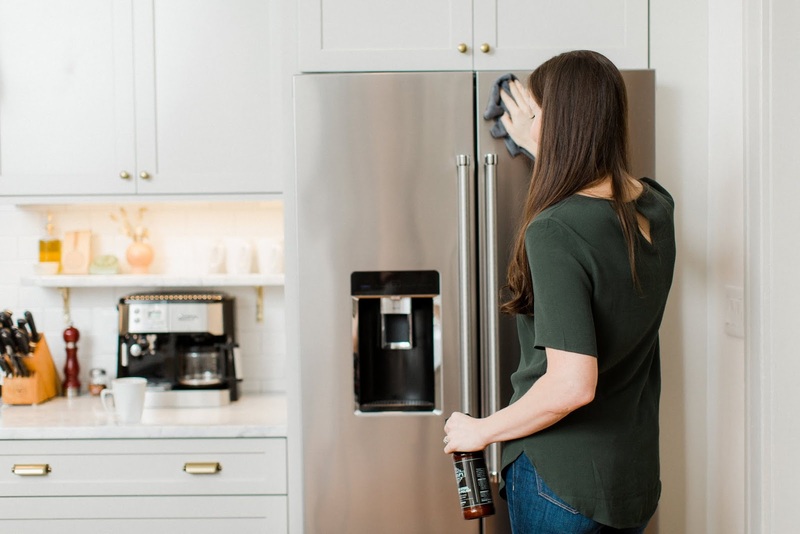 Today's post is sponsored by Therapy, who we've partnered with to give away $60 worth of kitchen cleaning products to one lucky reader. Entry details at the bottom of this post. Earlier this summer, I came across a stainless steel cleaner that actually works and have never looked back. 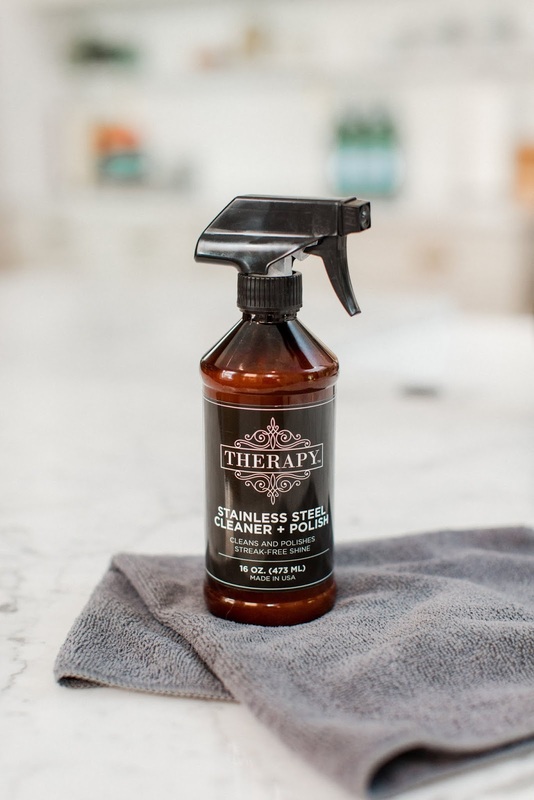 It all started back on Prime Day — I'd loaded up our Amazon cart with a few things we'd been eyeing, hoping they'd go on sale, when this stainless steel polish by Therapy with over 1400 reviews popped up in one of my feeds. 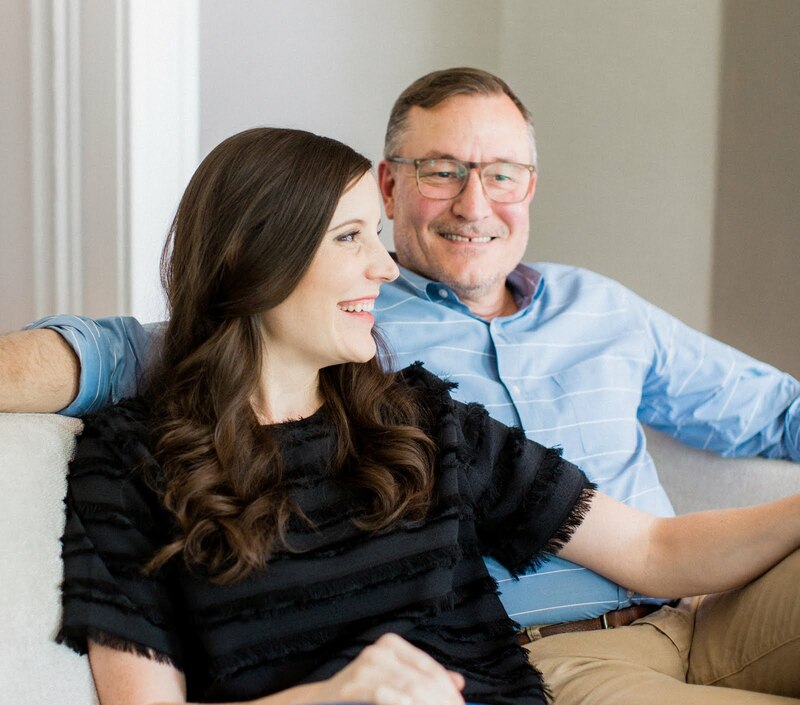 Admittedly, I was skeptical because I've tried everything from spray cleaners to wipes and baby oil on micro-fiber cloths and have always been left with a streaky finish. That said, we were in the midst of the kitchen renovation and all of our new appliances are stainless, so I added it to our cart and figured it was worth a try. A couple days later among the boxes arriving was this sweet little amber bottle that had a pleasant coconut aroma. It turns out all of the ingredients are plant based and manufactured in the USA. The cleaner comes with a microfiber cloth and instructions for spraying, wiping and buffing. A little spray goes a long way and wiping the fingerprints, smudges and streaks away feels oddly satisfying. I'm not alone there, right? To my surprise, this cleaner actually worked and well at that. 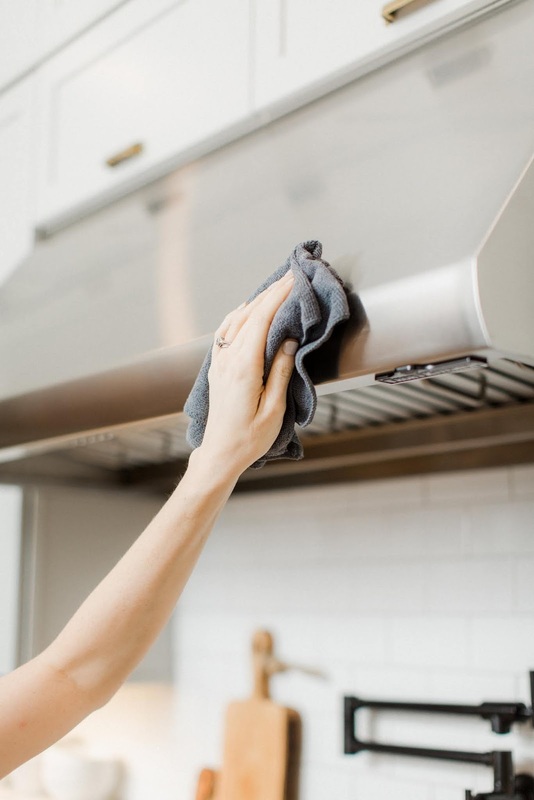 It keeps our appliances looking brand new and after struggling with cleaning stainless for years, I feel like I have a secret weapon. 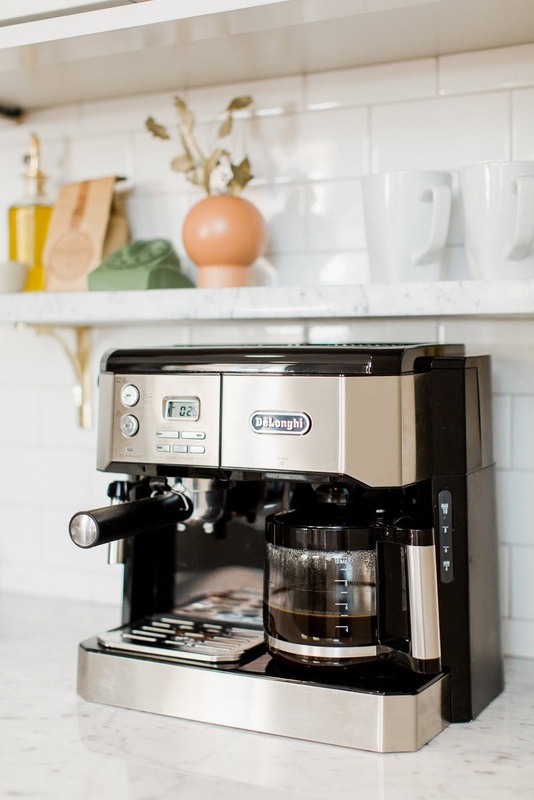 I use it on everything from our fridge and stove to the microwave and even our coffee maker. Sometimes I even look for excuses to use it in other areas of our home (like on the waste bin lids in our bathrooms!). 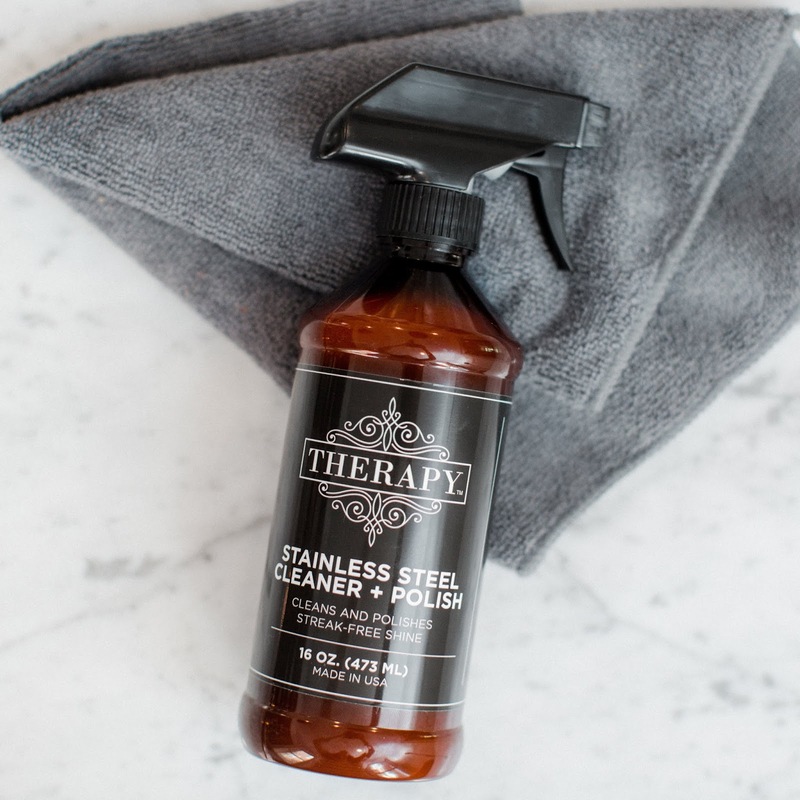 After using and genuinely loving Therapy's stainless steel cleaner for a few months, we reached out to the company to see if they'd be interested in teaming up on a giveaway. 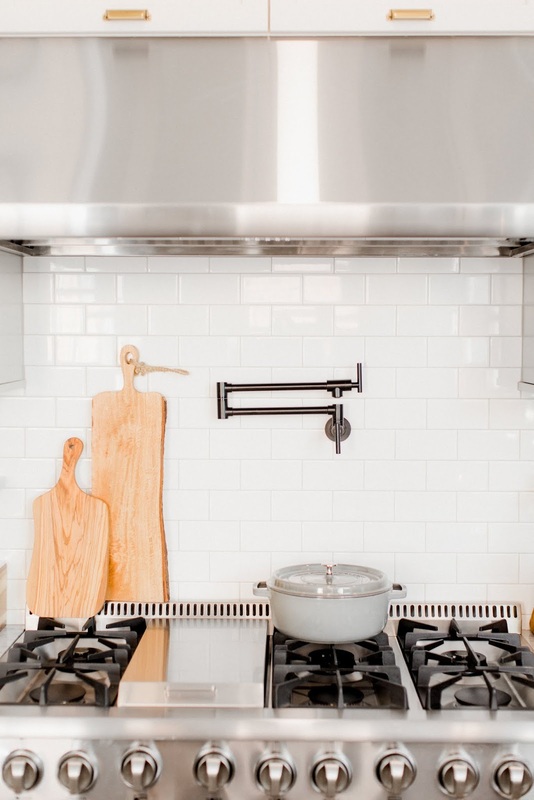 Therapy is so dedicated to giving the best cleaning experience possible that they have put together a complete package of their full range of kitchen cleaning products for one lucky ready to win! 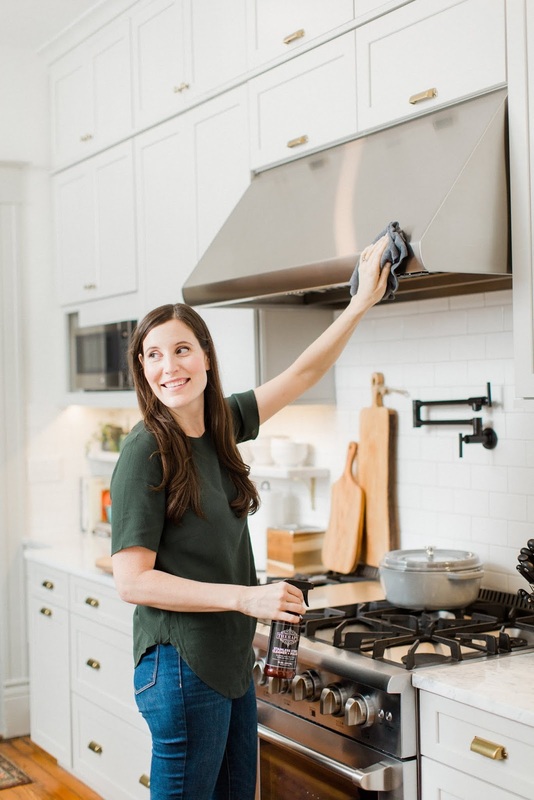 To enter to win a complete set of Therapy kitchen cleaning products (a $60 value), make sure you're following both @17Apart and @TherapyClean on Instagram. Comment on this Instagram post with the appliance you're most excited to use the polish on and tag a friend who you think would love a set of their own. We'll announce the winner as an update to this post on October 2nd! 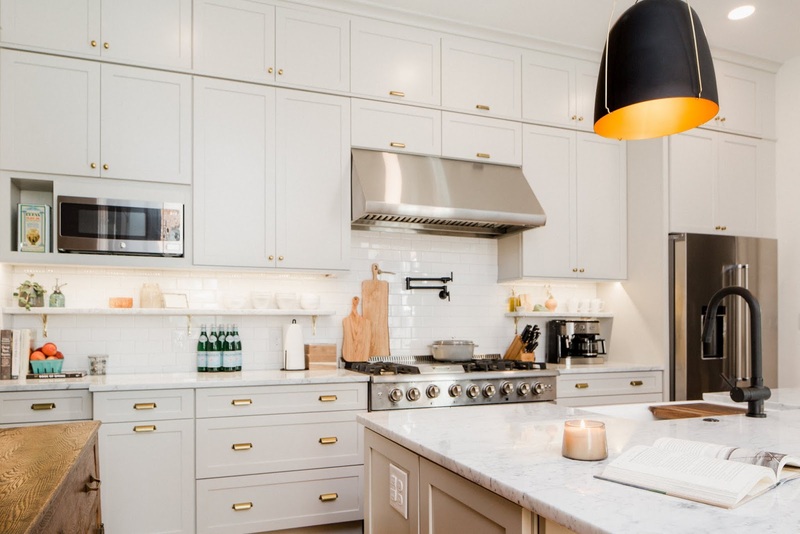 Sources: Find all of our kitchen sources, from appliances to accessories, right here.